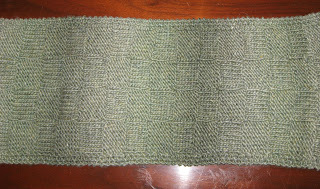 Border: Knit Seed Stitch (k1,p1) for six rows. 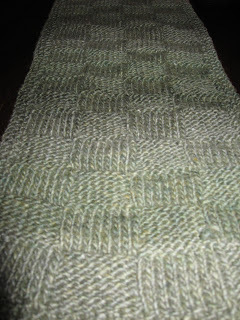 Keep repeating Rows 1 & 2 for ten rows and then Rows 3 & 4 for ten rows until desired length. I would make the scarf a little smaller if I had to do it again. 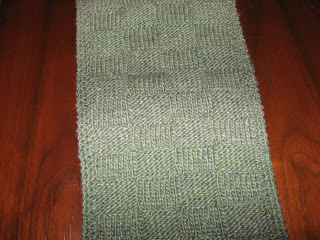 In rows 1,2,3,4, I would knit and purl 6 stitches instead of 8 and then repeat for 8 rows. Nice! This is a great stash buster project.